I have tested out some firestarters over the last year. This combined with my past knowledge has made me realize that firestarters are a topic that receives some attention but not in terms of how practical they actually are. 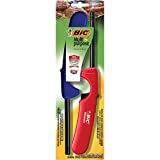 To be honest with you after doing a lot of research on different types of fire-starting options, I have come to the conclusion that if I have a choice, I will tell you to hand me the Bic. A disposable lighter that has a good reliable reputation is the way to go with any major fire starting situation. 4 Not all Ferro rods are the same. 8 Good dry tinder on hand makes all the difference. 9 Char cloth can be very helpful when using a fire piston or starting any fire under trying conditions. 13 People have their personal preferences when it comes to fire-starting. 14 Start a fire in a small rocket stove and then use the coals. 14.1 Be careful about piling on too much too fast. 15 Sparks can travel a good distance. First, let’s list some of the firestarters and methods available. I will also include a few links to various firestarters even if it is not a method I prefer for my use. You, readers, are a diverse bunch and just because I don’t like a method doesn’t mean you won’t find it great or even fun to practice! I am just going to put a video in here because I have no experience with this myself and I would not want to rely on it but with practice, it appears it is doable. This video gets a lot of positive feedback and will do a better job explaining it than I currently can. I pity someone that goes into a situation thinking that they will just pick something up and start a fire. It doesn’t work that way! You have to practice with any fire starting method, or you will be very disappointed and very cold! 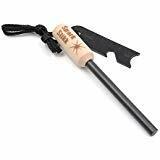 I would say that you need at minimum hours worth of practice to be confident enough to use any type of nontraditional firestarter with skill. I realize abilities are different and some people may catch on to a method faster than others but regardless, make sure you are confident in your ability to use something before you have to under pressure in a crisis. This is a good general rule for any tool or piece of equipment you have never used before. Practicing different fire-starting methods is a great thing to do in a group or with your kids and grandkids if you are trying to get them interested in learning survival skills! Not all Ferro rods are the same. A Ferro rod and striker combination can look similar between brands but be different in quality. I get sent gear, and I have to say that the difference between the cheap Ferro rods that are built into survival tools and a quality Swiss made tool are very different. Get yourself a good Ferro rod and striker set up right from the start. It is a shame how many people give up on learning something new because they have poor quality tools and equipment to start with. The price difference between a good rod and a garbage one is not that much! This is the result of using a Swiss-made Ferro rod and striker. Much better than the results I have got from others like the Survival Companion I received for review. The Survival Companion tool had a magnesium rod and a Ferro rod, and it broke the first time I used it. Not good. I had to do an article on fire pistons for another site once, and I was amazed at just how much they cost to get and how much strength and skill they required to get a reliable result. I think the concept of a fire piston is great, but I would not want someone to try using one for the first time when they were in dire straits. The concept is neat, and it looks cool if you can get a fire going. It is possible to make a fire piston, but this doesn’t seem worth it to me when there are so many other methods for starting fires available that take less time and money. If firestarters and bushcraft are a hobby for you, then you may feel like experimenting. For those that want to try their hand at making a fire piston, there are some excellent videos on Youtube. Here is a video that explains how to make a piston out of supplies from your local hardware store. Good dry tinder on hand makes all the difference. A lot of the survival firestarters seem to be pretty useless until you have some good dry tinder. You have to start out with very small stuff like unraveled jute and have a series of twigs and sticks on hand that increase in size as the fire grows. It is best to get this gathered ahead of time or at least get some of the tinder and smaller twigs and have someone else keep gathering wood if you are not alone. Fire can go out very fast if you don’t stay on it and have the right size twigs and sticks to build it up. I tried out the new version of the Survival Companion, and it still did not work out very well with lighting a fire. Eventually, Matt and I used the same Swiss made Ferro Rod and striker. Also got to catch some trout that we cooked up for dinner! You get up high enough in the mountains, and it can be cold enough for a hat in the morning even in late summer. Char cloth can be very helpful when using a fire piston or starting any fire under trying conditions. Char cloth is cloth that has been heated and charred but not burned. Check out the video below from Far North Bushcraft and Survival to find out how to make and use char cloth. Keeping a pocket knife on hand is always a good idea. You can whittle down wood and create some nice tinder for your fire. Jute twine is great stuff and easy to get. We always have some on hand anyway for tieing grapes to the trellis. You can get a huge roll for under $15 at any farm supply store. Some readers have told me that cotton balls soaked in vaseline or mineral oil work well. There are probably others that you can think of too! Paper soaked in any oil is an option, but jute twine or a few cotton balls are more practical for carrying in a small emergency fire starting kit. Fire is important so that means you should have more than one method of creating it. While I think having a Ferro rod and striker is a good idea, I also think you need a few packs of disposable Bic lighters put back for most situations. Waterproof matches are another item to consider. 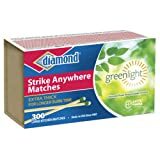 Strike anywhere matches are nice to have but sometimes are harder to find than they used to be. People have their personal preferences when it comes to fire-starting. If you ask four survivalists the best way to start and tend a fire I bet you get four answers that are not the same. You may just like starting fires one way, and that is fine. Whatever works for you and ensures your warmth and comfort is fine. If you love fire pistons than use them. Start a fire in a small rocket stove and then use the coals. Small rocket stoves can be used to get a fire going and provide some wind and rain protection. You can use the coals to start a larger fire if needed or desired. If you have one in your bag, then you have an advantage during windy and wet conditions. Be careful about piling on too much too fast. Fires need time to “build the flames.” If you get your fire going and then add larger fuel too fast, then it can cause your fire to go out. Sometimes you have to be more patient with fires than others. Conditions can vary a lot, and that means that regardless of your skill, it may take you twice as long to light a fire one day as the day before. Sparks can travel a good distance. Under very dry conditions you need to exercise some caution when starting a fire. The last thing you want it to start a fire and have some sparks cause an out of control fire to occur. Ferro rods can throw sparks a long way. Have a good fire line that is either bare earth or stones and keep your fire to a reasonable size that still meets your needs. Also, try to direct the sparks down and out in a single direction with every strike, so they are not going everywhere. I know that most of you probably know to never try to use a Ferro rod and striker indoors or near anything you don’t want to burn. I say this because I had someone tell me about how they did this in there house that is full of stuff! She just wanted to see if she could create sparks and did this in her bedroom! If you have a fireplace or hearth area then it might be okay to use some firestarters like fire pistons or Ferro rods if you use caution. 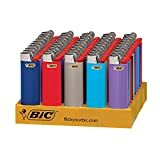 Of course, matches and lighters are the most common to use and safer in many cases. In our home, we are very careful about fire because our house is all wood on the inside. Our hearth area and fire protection are good. When we built our house, we did it to local building codes, and they are pretty strict about wood stoves going into new construction. This is why so many people add them after the building inspector is gone and they have an occupancy permit. Of course, you can also get all these articles and more on a convenient USB drive. Backdoor Survival is proud to offer the Lifeline USB drive that contains all your favorite Backdoor Survival articles. My conclusion is that one should take the term emergency seriously. Firestarters are for major emergencies and are simply a waste of time and energy in other situations. You have to plan out your fire starting to get a good result when using a method that relies on just a few sparks. Dry tinder and a good foundation for building up a small blaze are going to be one of the bigger factors when it comes to determining the results you get with your fire starting prowess. Do you have a favorite fire starting methods? What products have you bought that turned out to be great and what didn’t meet your expectations? There seem to be a lot of different firestarters, but the quality is not always the greatest! Is there one that you would like to see tested and reviewed on Backdoor Survival? Dryer lint is free so skip the cotton balls. Always look for and collect, as you move about, for things like cattail heads, cottonwood fluff piles and nettle heads that are dried up. They all make great spark catchers and are very flammable. If you have trouble holding a steel like my wife with lupus then look at the larger size Gobspark. I carry a Zippo lighter in a pouch on my belt. It’s there 24/7. I also have a kit in my GHB that I’ve put together. The kit contains a folding knife, a BIC lighter, an EverStryke match, magnesium block w/ferro rod. I also have a kit from Steve Kaeser that contains fatwood and jute cord. I have a good quality re-fillable butane lighter in my pocket always. Also, I have an ExoTac ferro rod in the other pocket. Both are very small and handy, but add to that the Leatherman wave which I never leave home without, I can get a fire going quickly. A good trick to know: you can use the back of the SAW blade in the Leatherman for an excellent striker on the ferro rod. I can’t claim that as original knowledge, it came from Dave Canterbury (self reliance outfitters). This trick really works! Dave also says to be sure you have 3 ways to make fire on you at all times! Master fire maker Cody Lundin says the same thing. Kerosene lamp: it is a good idea to drop/store a bic lighter in the chimney of an emergency standby kerosene lamp so you have it right where you need it after the lights go out. I have learned thru trial and error that the lint from your bathtowels is best to use for firestarters. Or any high/all cotton content clothing, bedding etc. The old Girl Scout standard, dryer lint in a cardboard egg carton with some wac can be made ahead of time for use as needed and a fun craft with the kids/grands. Cotton balls w/vaseline stored in a pill bottle are expedient. I like my lighters but use matches too. Found a cool item at the dollar store we use too. Cricket 5-Minute Firestarter. Combo match and firestarter. Way cool and a thumbs up from us! The best aid for fire starting with out using matches or a lighter is to use char cloth. The best of this is made from old all cotton blue jeans. You make char cloth using a small metal container that can be sealed up except for a very small vent hole. You fill the can with pre cut pieces for cloth and but it in to a good fire. Soon the will be a flame at the vent hole let this go till the flame goes out. This can take form 15 minutes to 45 minutes. Pull the can out of the fire and seal the vent hole ( I place a small piece of steel over it) and let the can cool to ambient temp. you now have char cloth that will take a spark and hold it till you can blow the red hot glowing material in to your tinder bundle and have a flame. For a can I use a new small paint can I purchased at the hardware store that mixes paint. And old used all cotton blue jeans make about the best char cloth you can have. All of this is best done out of doors. The cottonballs/Vaseline thing listed above is a great idea, but try this for a mess-free experience: get a few of the real fat plastic slushy straws at the 7-11 store. Cut them into ~2″ lengths with the scissors. Stuff 1-2 “loaded” cotton balls in and close both ends of the plastic straw section with heated-up long nose pliers. Mess-free fire starters! You just slit open with your pocket knife to use. We made dozens of them and keep a handful in every backpack and the glove box of every vehicle. Put several in a small ziplock with a Bic or a ferro rod, the possibilities are endless.